Now you can print postage instantly from your home without ever having to stand in long lines at the Post Office again. 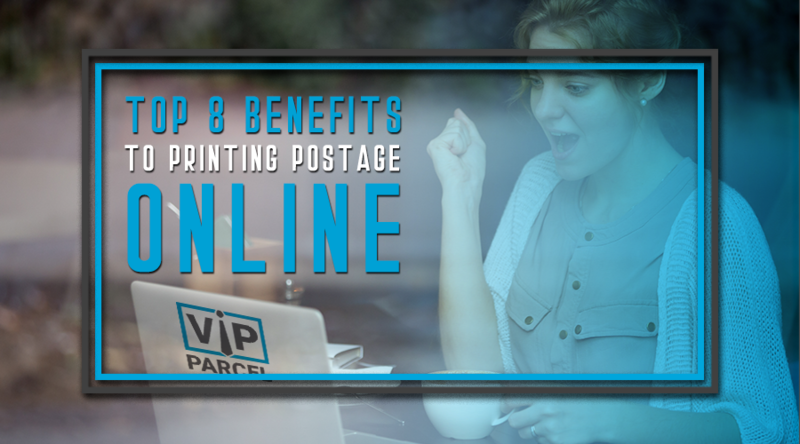 Here are the top 10 benefits to printing stamps online with Print-Stamps-Online.com. Printing postage online gives you the ability to print stamps anytime by leveraging the power of the internet. All you need is a computer with an internet connection and a printer and you can begin printing your own custom shipping labels and postage stamps. Postage Meters have all sorts of hidden fees that can really cost you. At vipparcel.com, there are no hidden fees, no special ink cartridges, no scale rental fees, no reset fees, no annual price increases and absolutely no charges for printing custom logos. Choose from all USPS services including First Class, Priority Mail and Express Mail. Also print postage stamps via USPS Ground and Express and receive even more savings. Managing your postage costs has never been easier and now you can easily keep track of your mailed packages through detailed reports of each postage and shipping label you print. Now you never have to worry about underpaying or overpaying postage again so you print exactly postage every time. We all know that you would rather spend your time with other tasks that require your attention instead of waiting in long lines at the Post Office. Schedule a free USPS pick up from a mail carrier to deliver your mail for you! Customize your very own personal logos as your postage stamps or put your company logo to look more professional. Say goodbye to long lines at the Post Office and buy and print your postage online.